How To Turn Your Body Into A Fat Burning Machine in 12 Hours! Well this is a bold statement, but a powerful one. Now why am I talking about weight loss on my Blog site. Well I mentor, coach and interact with a lot of people in my business and one of the major areas where people ‘forget’ or ‘avoid’ is their health. We techies, gurus and computer gazers tend to sit on our bums way too long and of course reach out for that packet of….. oh yeah you know what I’m talking about ! Leading an unhealthy lifestyle can lead to fatigue, weight gain and that biggie – heart attack! YOU really WANT TO AVOID these at all costs ! Sitting a computer all day is one of the worst things you can do for both your physical health and mental health. Your body will start to store fat – and yes you will find it harder to be disciplined when your body is already in a sedentary mode – sitting at a computer. Strive to be the healthiest version of YOU ! 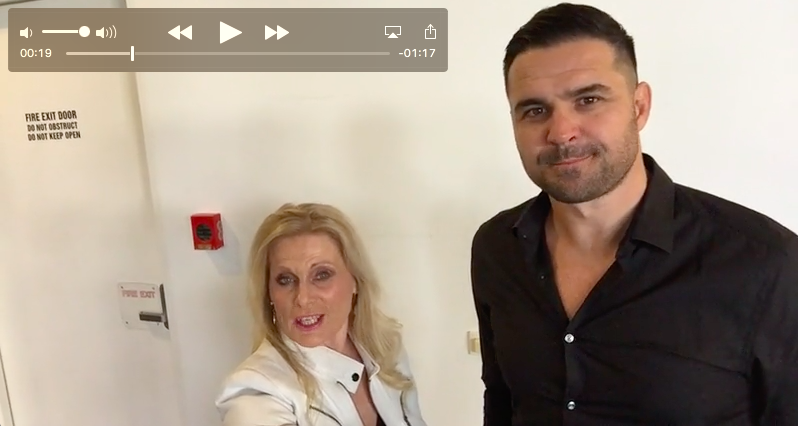 Here’s the quick interview I did with Eric Grothe Jnr, former Professional Rugby League Player and Health and Fitness Advocate, a couple of days ago – Eric gives a few quick tips on what he’s going to be talking about on our upcoming LIVE Interactive Webinar. At my “Experts Talk” Series – this is a LIVE Interactive Webinar – So you get to ask the Guest Speaker questions as well. My good friend Eric Grothe Jnr, former professional Rugby League Player and Health and Fitness Advocate, will be a guest speaker my “Experts Talk” webinar. Eric shares with us “How To Turn Your Body Into A Fat Burning Machine in 12 Hours”. Eric will be helping you understand how to simply and easily how to do this yourself – and how to lose weight without having to exercise yourself into the ground ! Now we don’t have to be an Athlete like Eric to achieve this. 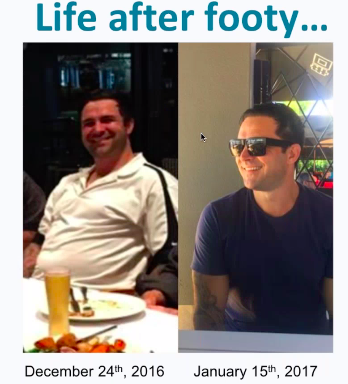 Eric isn’t into long bouts of physical exercise, just the opposite, he has created a system that will keep you in peak physical condition and prevent any unwanted weight trying to attach itself to your body – how good is that! Eric is currently helping thousands of people regain their health both here and overseas. Eric is an advocate for stamping out the possibility of early termination before your time and he does this by teaching you how easy it can be to live a healthy lifestyle.